Help! My patient is hiding under the table! Procedurally most hearing assessments are straight forward. Not mine. I work with kids. And over two thirds of the children I see have additional needs such as autism, significant developmental delays, language disorders, serious illnesses or multiple disabilities. Patient hiding under the table? Had that more than once. Patient throwing building blocks? Been there. Patient too shy to respond, or won’t wear headphones? Check. Does this mean we give up and don’t get results? Absolutely not. To give hearing impaired children and their families the best chance in life we have to start with reliable results. So, here’s my tried and tested clinical tips for getting results from challenging children, such as the little boy who hid under the table in my testing booth. ENGAGE Work out a way to engage with the child before testing so they feel comfortable with you. Get down to their level, talk softly and clearly, show them the games using your hands and facial expressions, talk about something relatable, a toy or a cartoon on their t-shirt. Know your Disney characters! SELECTIVE BRIBERY Never underestimate the power of bribery! Offering a sweet, a sticker at the end of testing or a video whilst carrying out OAEs works miracles. Parents always agree, if it gets results without an anaesthetic or sedation it is worthwhile. INTERACT AND OBSERVE Obtain an idea of the child’s hearing levels and personality before testing. Ask them questions when you look in their ears. Watch how they interact with their parents when you collect them from the waiting room. Do they need to lip read to help compensate for a hearing loss? Do they intently stare at your face when you’re talking to them? CALIBRATE Everyone knows the importance of calibration at the beginning of the day. The one time we don’t have time to do it, will be the one time the left headphone cable has come lose and we think the child has a unilateral hearing loss (yes it happened to me, yes luckily I checked before misinterpreting the results!). And don’t just check the headphones, also the Soundfield speakers, tympanometry, OAEs, speech tests, anything we are going to use so we can 100% rely on the results. CROSS CHECK PRINCIPLE. Back up behavioural testing of difficult-to-test children with objective tests such as OAEs. Whilst distracting the child, these are simple to use. KEY QUESTIONS As a pediatric audiologist, it sometimes looks like we’re playing all day, but we’re applying scientific principles throughout all our testing. Our key questions can be applied to children of all ages from day 1 to age 18 years. We chose the appropriate test depending on the developmental age of the child and answer these key questions: Is the hearing within normal limits? 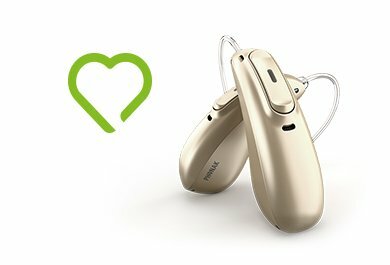 If no, is there a permanent or conductive hearing loss? Is it in one or both ears? 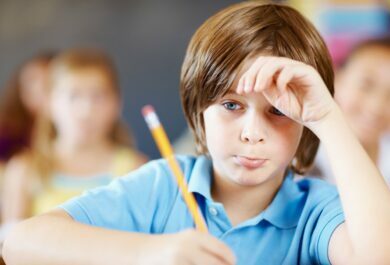 Is there a sign of an auditory processing disorder? Are the results reliable? FLEXIBILITY Is the toddler taking a nap on arrival? Start with OAEs. Let them wake in their own time before moving on to behavioural testing. Does the child love throwing blocks and you managed to dodge the one aimed at your head? Have them throw a ball into a bucket every time they hear a sound. For really shy children, or those who have had many invasive medical tests, it helps to not ask direct questions, rather ‘You’ve been so good, you get to use headphones, you’re so lucky!’ Or demonstrate first on mum, dad or teddy. NON-VERBAL COMMUNICATION. Working at the Children’s hospital in Zurich has taught me how little spoken language we need to assess children’s hearing. I am English, and work in German, although less than half of my patients speak German at home. Zurich is a beautiful multicultural city full of an array of languages and cultures. Portuguese, Spanish, Turkish, Serbo-Croat, Albanian speaking children – I use facial expressions, thumbs up, hand claps. Working with children has shown me the very best of human nature. It is humbling seeing the resilience and positivity of children ill with cancer or after a serious accident. Our hearing assessment games may be a ray of light for some families and provide fun amongst the many appointments of their day, whilst enabling comprehensive, scientific results to help them reach their potential. I’m always open to new ideas, comments, questions and chocolate. Contact me by clicking ‘contact the author’ or leave a comment below! I have found the following international pediatric audiology gold standard protocols invaluable, particularly whilst working in a service, culture and language different from my home country. Hi Jane, what a lovely article! It really captures the essence of what it is like to be an audiologist that works with children. 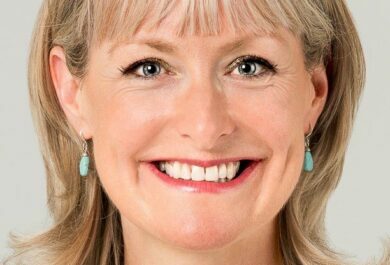 Jane has a degree in Psychology and Masters in Audiology from the University of Southampton, UK. She has 16 years experience in audiology, working clinically in University hospitals in the UK and Switzerland, in hearing system and software development, and in training. She worked as a pediatric audiologist at the children's hospital in Zurich before joining Phonak HQ in 2018 as Audiology Manager. Phonak experts are collaborating with research teams globally to develop a clinical model for the assessment and management of children with Autism Spectrum Disorder, and in parallel are continuing research in this important space.